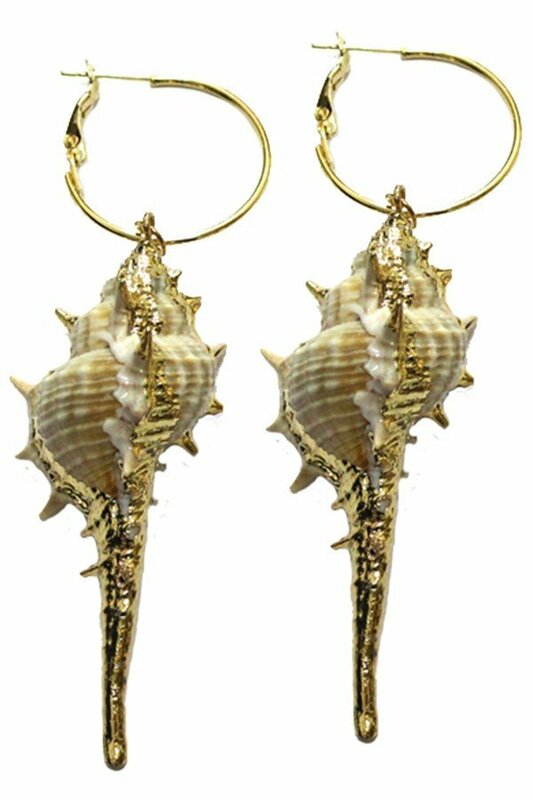 Description: Hoop earrings with a hanging shell. Approx. length 3.25".